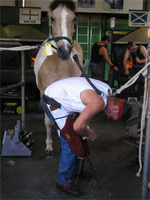 The second farriery article has kindly been written by Gary Darlow RSS/AFCL, seven times National Champion and winner of numerous county show competitions. 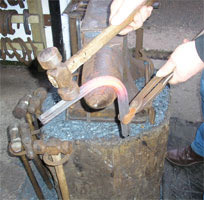 Gary is based in Cheshire where he runs clinics from his forge - visit the Clinics & Tuition page of the Education and Training section for further details. 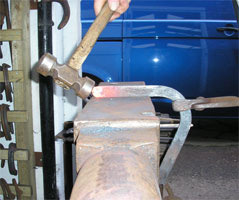 Click here to download a pdf version of this article for printing. 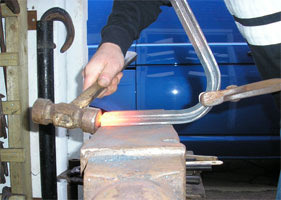 Make sure the heat is slightly off centre towards the inside, this will help you to keep the outside slightly longer than the inside. 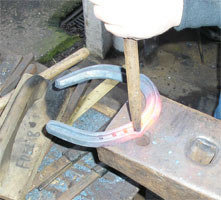 Step two: safe off toe. 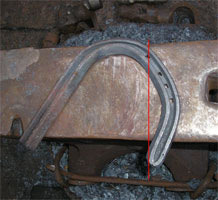 Please note the hammer position to knock branches on to form toe (picture on the right). 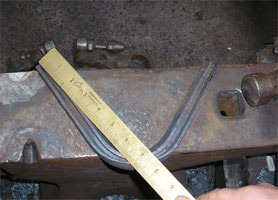 NOTE: the outside is longer than the inside. 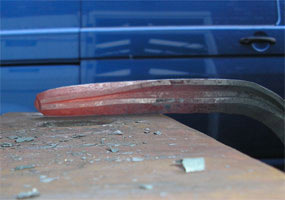 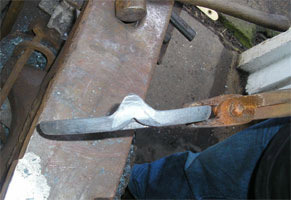 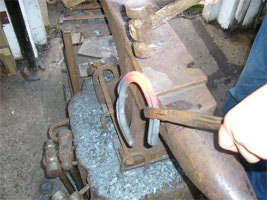 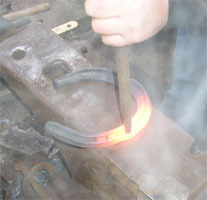 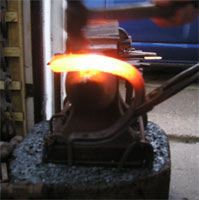 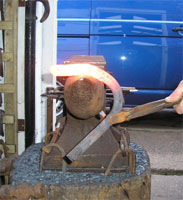 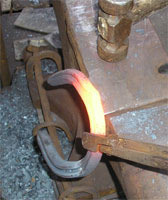 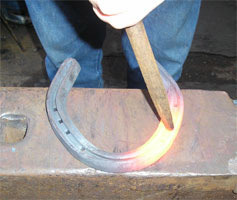 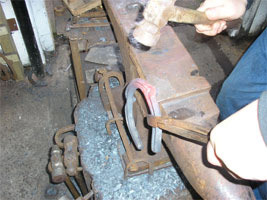 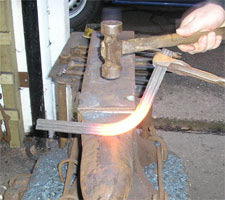 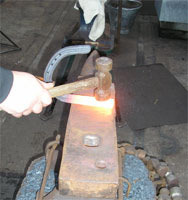 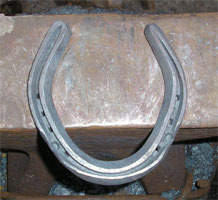 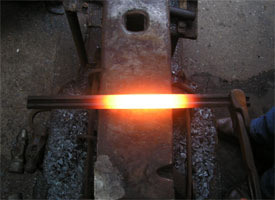 Step three: forging outside heel. 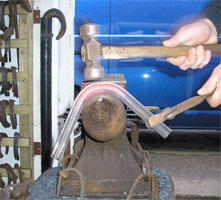 Step four: bending outside branch. 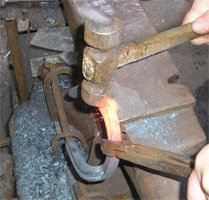 Note position of quarter on the anvil. 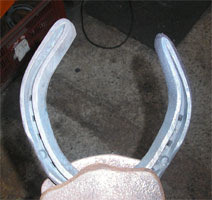 Image on the right, outside branch complete, without nail holes. 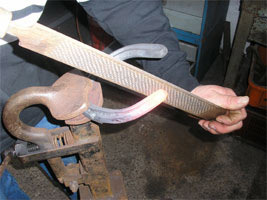 Step seven: bending inside branch. 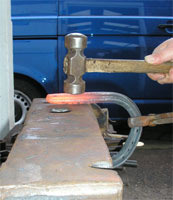 Note position of branch on anvil. 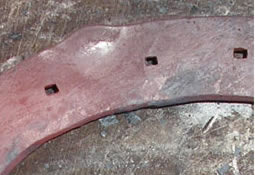 Step 8: inside nail holes. 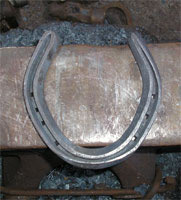 Three nail holes on the inside. 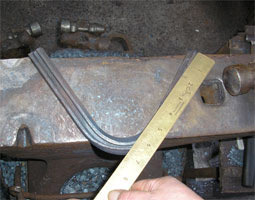 Step 9: clips. 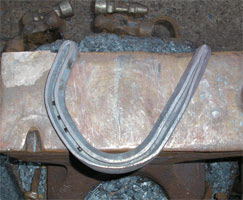 Inside clip first. 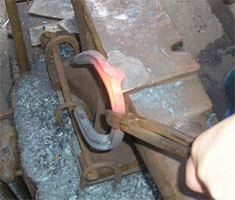 Bob punch down a third of the way into the concave. 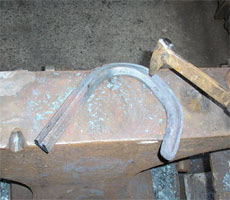 I, myself, start the clip using the ball of the hammer first. 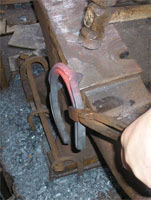 Note the position of the shoe leaning OUT from the anvil. 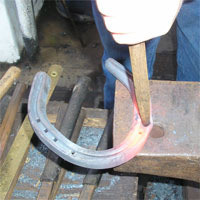 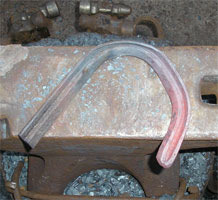 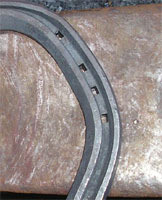 Finishing clip with the heel of the hammer. 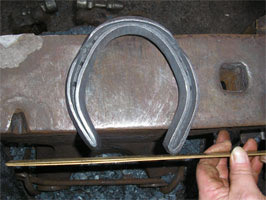 Step ten: rasping inside heel. 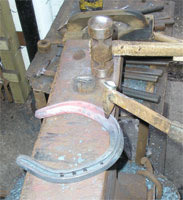 Note angle of rasp when rasping inside heel, because the concave is well forged together you can shorten the inside of the shoe slightly. 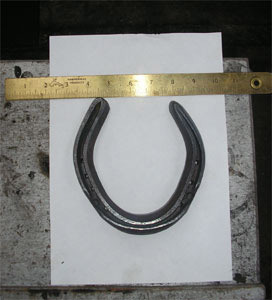 Note short inside of a hunter hind shoe which makes them much easier to fit to the foot.